While Jess Underhill’s praise for RockTape is slightly more subdued, she says that the tape “helps with compression or decompression to aid in recovery or alleviate symptoms of an injury or muscle imbalance.” She adds that it takes work to heal injuries or correct muscle imbalances. 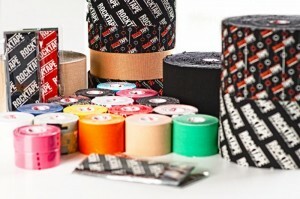 While she isn’t convinced that RockTape will “heal” an injury, she does believe it can play a valuable role in the “everyday athlete’s” rehabilitation plan. Many previously skeptical athletes are discovering that RockTape can help their injuries heal faster while enabling them to comfortably power through their athletic workouts and perform better during competitions.